How Do You Landscape for Birds? Many people enjoy watching birds especially in their own backyards. People like me who have been at this for a while soon learn that you need to have certain attractions that make the birdwatching experience so much more fun and enjoyable. What do I mean by attractions you ask? Well you want the birds to keep coming back to your garden and to get this to happen you will need things like water features, nesting boxes, different types of shrubs and trees, and also plants and flowers. When you have some or all of these you can not only get return visitors to your garden but also you can increase the number of bird species that will visit your backyard habitat too. 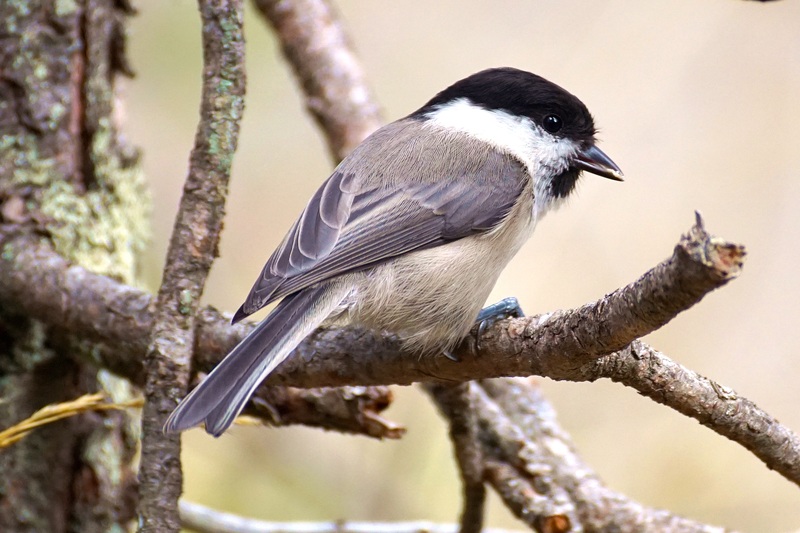 Trees and shrubs are definitely a must for your backyard birds. Birds use them for nesting, resting, and hiding from predators. 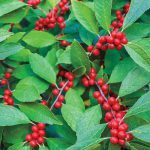 When selecting trees and shrubs for your yard you should choose those that are native to your area. You can find them by going to the Department of Natural Resources for your state. Below are some examples that apply to the northeastern United States. 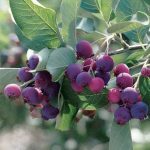 Trees that bear fruits are a good food source for your regular backyard birds but can also be great for migrants coming through in the fall. For the summertime there is the Mulberry that attracts robins, waxwings, cardinals, and many other songbirds. There is also the Serviceberry tree as seen on the left, that produces white or pink flowers in the spring then reddish berries in the summer. This attracts robins, grosbeaks, vireos, tanagers, cardinals, waxwings, as well as other birds. In the fall you have the Flowering Dogwood which produces pretty pink, white, or red flowers in the spring time and scarlet berries in the fall. Robins, bluebirds, thrushes, catbirds, cardinals, tanagers, grosbeaks, and many other birds love to feed on this tree. The Crabapple tree is another good one for attracting the above mentioned birds, but in addition, finches and waxwings like this tree too. The Eastern Red Cedars and Spruce Trees are good fruit bearing trees that are good for the birds. All of the trees listed are good nesting sites for birds. The Northern Bayberry, Staghorn Sumac, Nannyberry, and Winterberry (photo on left) are all fruit bearing shrubs that attract robins, bluebirds, thrushes, cardinals, chickadees, and many other birds. All of these are not only good for feeding the birds for fruit but birds get insects from them. These shrubs are a great cover for the birds in the winter. Evergreens such as the boxwood shown on the right, juniper, arborvitae, and the holly bush are great for providing shelter for the birds to rest a bit, hide from predators, or get out of the cold. It is because of the bush’s denseness and because they do not lose their leaves that makes them good for this year round. In the summer into the fall months the deciduous shrubs like the cotoneaster and viburnum are a good cover for the birds too. 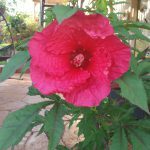 There are many different nectar producing flowers and vines that attract hummingbirds such as the clematis vine and hibiscus. 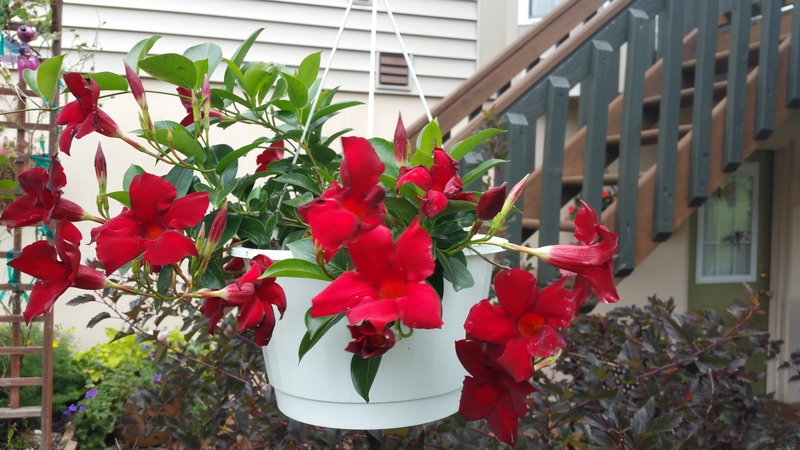 Petunias, superbells, and the mandevilla which are very pretty flowers, also attract hummers. Then there are seed producing plants such as the coreopsis that attract goldfinches and cardinals and the black-eyed susan that attracts goldfinches, chickadees, cardinals, nuthatches, sparrows, and towhees. The best thing to do when selecting your tree, bush, or flower is to do a little research. You can either do it online which is what I do, ask your local plant nursery. They are always glad to help you with that. 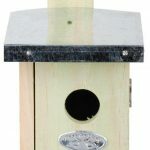 Bird nesting boxes or bird boxes are for the birds that nest in cavities or holes in trees. Examples are: Carolina wrens, chickadees, house wrens, swallows, bluebirds and purple martins to name a few. Each type of box has a different size hole depending on the size of the bird nesting in it. You can either make them yourself or purchase them at your local birding supply store, online, or at a hardware store. We happen to have two house wren nesting boxes that my husband made using instructions specifically for this type of bird box. My husband nailed them each to a tree and the house wrens have taken residence already this spring. People do not realize it but birds need water year round. Bird baths, fountains , and/or a mister are important to have in your yard so the birds can get their water to drink and to bathe in. 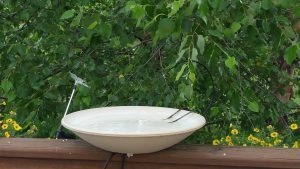 I add a drip to my bird bath (which is a heated bird bath for winter that you unplug for summer). Birds like it both summer and winter to get a drink of water and to bathe. In summer I also have a water mister which set up in the tree nearby. The birds like to come and perch under it during hot days. Hummingbirds like to fly through the mist. As for fountains, if you have the space for one, the birds like them too. Fountains do tend to have deeper water but it doesn’t seem to stop some of the birds from taking a sip of water or get them to start splish splashing to take a bath. From trees to shrubs, flowers, nesting boxes, bird baths, and fountains you can add a lot to your backyard to attract a variety of species of birds. More is better as I always say, but not everyone has the room in their garden to have all of these things. However, even just a few of these landscaping ideas will bring in some good birds to entertain you. Just make sure you include a water source (all year long) as birds need water for drinking and for bathing which keeps their feathers maintained. Bird feeders are also important and you can find that information HERE! If you have any comments about this post please feel free to do so below in the comment section below. I would love to hear from you! Posted in Landscaping For Birds, Songbirds.